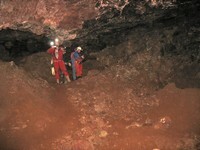 The Club has actively explored in a number of caves and mining sites in Gloucestershire, mostly in the Forest of Dean. The table below shows just some of these sites. Gloucestershire can probably be divided conveniently into two parts: west of the Severn and east of the Severn. 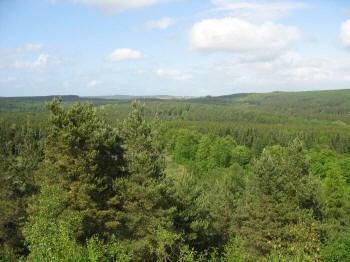 West of the River Severn is dominated by The Forest of Dean and is a basin of limestone with coal measures overlying the centre of the basin. (This is the reverse of Derbyshire where the limestone is a dome in the centre and the coal measures form a ring around the outside.) 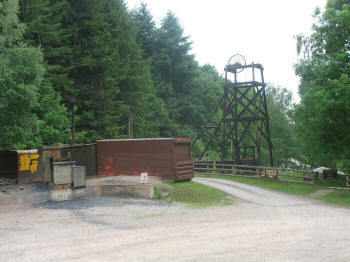 This structure has led to the features of the Forest of Dean that attract the caver and miner. Click on the context-sensitive areas of the map for more detail. East of the River Severn is a narrow strip of flattish land before the escarpment of the Cotswolds. The Cotswolds are of oolitic limestone and provide a source of good building stone which stretches down into Wiltshire. The iron mines are shown on the map alongside which is taken from the Geological Survey Report of 1927. 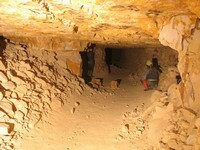 The mines are located in limestone and are found around the outcrop but this includes the eastern outcrop and the Wigpool outlier to the north. The levels shown in the south west corner of the map were driven from the lower ground to undercut the iron deposits. The iron is believed to have originated in the coal measures and then moved down and replaced limestone in what are very cave-like masses. 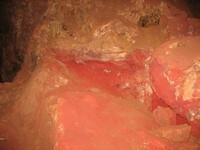 Indeed, some of the mines, such as Westbury Brook show signs of having been open caves which were later filled with iron ore. The coal mining area is in the centre of the basin. The coal field was never rich although a couple of significant deep mines were sunk in the later phase of mining. Most of the mining was however carried out from shallow drifts which are still to be found all around the forest. Some of these are still mined by Free Miners of the Forest of Dean, an ancient custom and right which is constantly under threat these days. 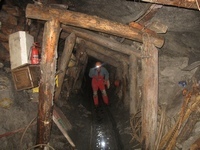 Unusually, the coal mines are relatively gas free and the miners even used carbide lights until quite recently. 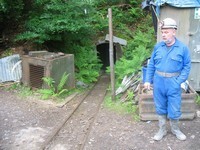 There is a small mining museum at Hopewell Pit near Coleford which can be visited on underground trips. There are even stone mines in the forest. The sandstone is still worked in quarries such as Worcester Quarry and turned into dimension stone at a saw mill nearby . 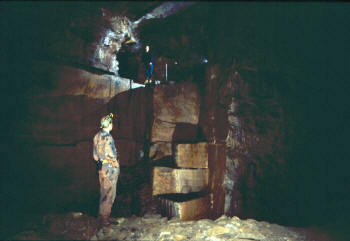 At the quarries, the stone was worked underground by classic techniques leaving large rectangular caverns. 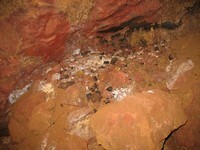 Stone mines also abound in the Cotswolds from Cheltenham down to Nailsworth. This stone was usually freestone which could be used for building (e.g. Cheltenham) but some was converted into roofing slates if it was slabby material. 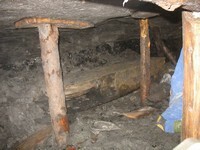 Access to the Old Ham / New Dunn complex is not as free as it used to be; the main shaft in New Dunn became polluted with a black, oily tar which led to that mine's closure to normal visitors. Recent work with a biological attack on the tar is considered hopeful. Other mines such as at Noxon Park are more accessible. Coal mines should not be visited unless you are with the operator. 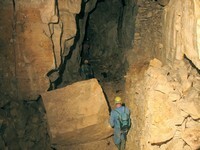 Some of the Cotswold stone mines are accessible but again it is advisable to speak to local experts before attempting a visit. 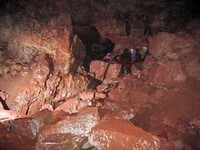 The resident caving clubs are the Royal Forest of Dean Caving Club, the Gloucester Speleological Society and the Hades Caving Club. All of these are active and very friendly. 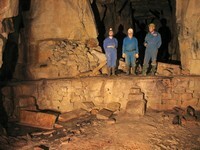 Finally, you can have 'clean trip' by visiting the iron mine at Clearwell (called Clearwell 'Caves') and there may be a coal mine open to visits now.